To say that the morning of Friday 9th June brought an unpleasant surprise to British Prime Minister Theresa May and her Conservative Party would be a massive understatement. Having been expected since by the mainstream media to wipe out Jeremy Corbyn, not only did the Tories themselves perform poorly and lose 13 seats, but Corbyn's Labour Party performed beyond expectations, gaining an extra 30 seats from 2015, and earning the largest vote share gain the party has gotten since 1945. Theresa May is no doubt being force-fed copious amounts of humble pie, after this decision to hold a re-election that many are branding one of the worst political decisions in British history. The reasons for the defeat are pretty simple: on one hand, Theresa May ran a wooden campaign hiding in the shadows, and on the other, Jeremy Corbyn made the most of his party's superbly popular manifesto by doing one of the things he does best- going out on the road and connecting with ordinary people. But despite May's humiliation and Corbyn's victory, the fact remains that the former is still Prime Minister. This comes as a result of the hung parliament that came from the election, and the Tories' alliance with the Democratic Unionist Party of Northern Ireland. To define a hung parliament, first it's important to understand what exactly constitutes a victory in a British general election. There are 650 seats in Parliament up for grabs throughout the UK, each for a certain area of the nation. To rule effectively, a party must rule 'in the majority'- that means to have more than half (at least 326) of the seats under their control. This means that if there is a future vote in Parliament, for example on a policy being passed, the ruling party can ensure that it is passed- because it can tell all of its party MPs to vote in favour. Before Friday morning, a strong performance in 2015 meant that the Conservatives held 331 seats in Parliament, meaning a majority of 5. Theresa May held this re-election hoping to increase this figure- instead, following this election, Conservatives are 8 seats short of holding a majority. Labour won 262 seats; while this was impressively 30 up from 2015, it was still far short of the Conservative number. So the Conservatives had won the most votes, most seats, and thus the election- but, they did not command a majority in Parliament, and neither did Labour. This outcome is a hung parliament. How common is a hung parliament? Hung parliaments are usually highly rare, but seem to be becoming less so, most probably due to the emergence of more non-mainstream political parties taking away votes from Labour and the Conservatives. Since 1929, there have been just 3 hung parliaments- in 1974, 2010, and now in 2017. This was seen in 2010 when David Cameron's Conservatives failed to command a majority in the House of Commons, despite thumping the Labour Party and winning 48 more seats. 20 seats short, Cameron requested the support of the 3rd place Liberal Democrats, who had won 57 seats. In a formal coalition, this would effectively grant the new government a total of 363 seats, well clear of the majority threshold. Nick Clegg, the then-leader of the Liberal Democrats agreed to this coalition, and thus came the Coalition Government. In February 1974, Labour under Harold Wilson won 301 seats, just 4 more than Ted Heath's Conservatives. However, rules dictate that if no party has a majority, the current Prime Minister has the first chance to try to form a new government, and this was Ted Heath. Heath tried, and failed, to form a coalition with the Ulster Unionist Party, and so consequently resigned, leaving the path clear for Wilson to take power. Wilson was also unable to command a majority via any coalition deal, but he ruled in minority. Knowing that in the long run, it would be highly difficult to pass through policy in a Parliament where Labour were a minority, Wilson announced an election for the October of that very year, where Labour won more comfortably to command a majority. Theresa May has opted for a third route, a combination of these two options- a 'confidence and supply' agreement. This is a type of informal coalition, in which the DUP will promise its support in Parliament to the Conservative Party, with its 10 MPs granting Theresa May's government a working majority of 2. Of course, the DUP will expect some favours from Theresa May. Where does the UK go now? Far from 'strong and stable', May's government has come out of the election bruised and weak, leaving the Conservative Party worse off than they would have been without the election. 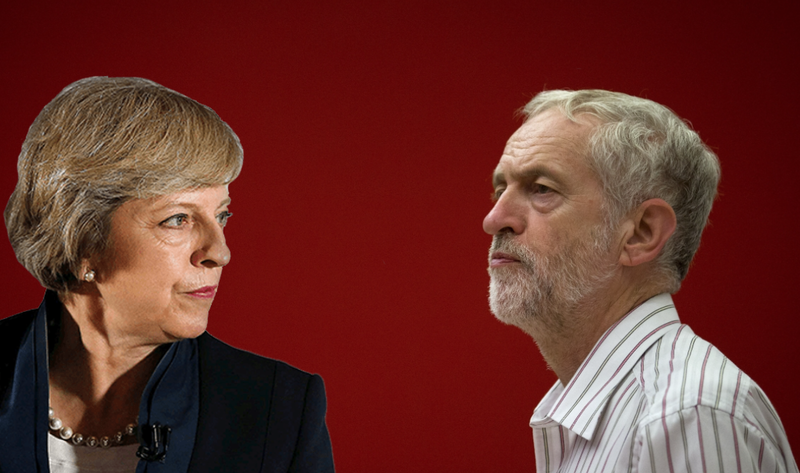 The Prime Minister's own position as leader of the party is under jeopardy- Boris Johnson especially is rumoured to be sharpening his knives to take the throne- and the Labour party are resurgent. The agreement with the DUP is necessary for the Tories to stay in power, but the fact that it leaves the government indebted to another party will not be something May will be totally satisfied with. What is highly likely to happen amidst all this uncertainty is another election, likely to be close to the end of this year or the beginning of the next. In this, the Conservative Party (under the leadership of Theresa May or not) will seek to regain the majority of Parliament, and the Labour Party will seek to finally end years of electoral disappointment and take control.